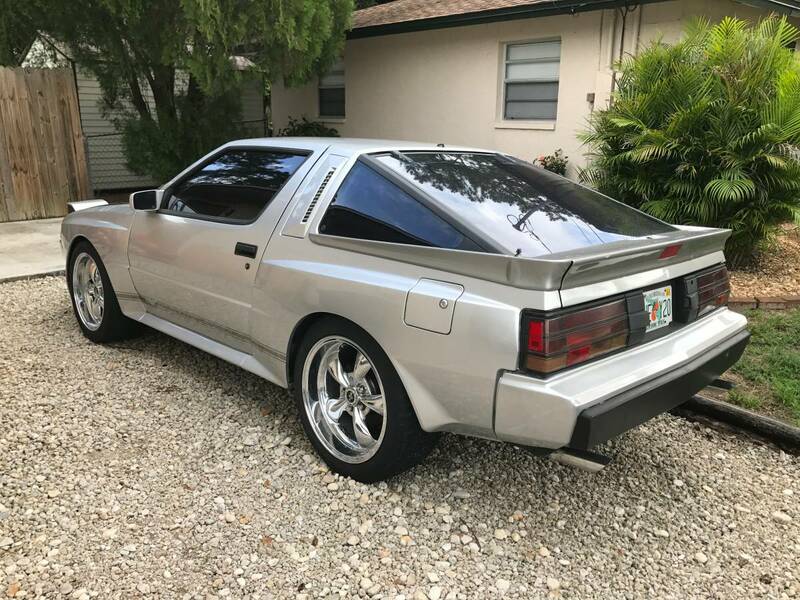 The Mitsubishi Starion/Dodge Conquest/Plymouth Conquest/Chrysler Conquest was a line of rear-driven sports coupes built in the 80s by Mitsubishi in Japan. The Dodge/Plymouth/Chrysler versions were just a light re-badge to trick "domestic only" buyers into picking up something from the land of the rising sun. The guise worked and quite a few of the Dodge/Chrysler versions were sold and the future of Chrysler/Mitsubishi motors eventually gave birth to Diamond Star Motors (DSM). 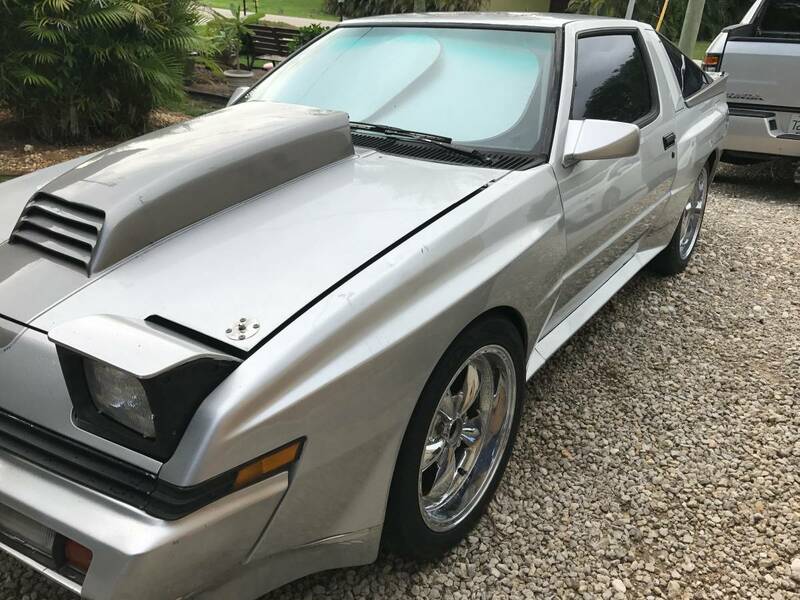 Find this 1987 Mitsubishi Starion V8 Swap offered for $3,500 in Ft Myers, FL via craigslist. Tip from Rock On! With a beak like that, you'd expect the horn to belt out a stirring rendition of The Way We Were, but it probably plays Dixie. What are they hiding under that prominent proboscis? Came here to see something funny fitted under the cylon mouth hood scoop left disappointed. 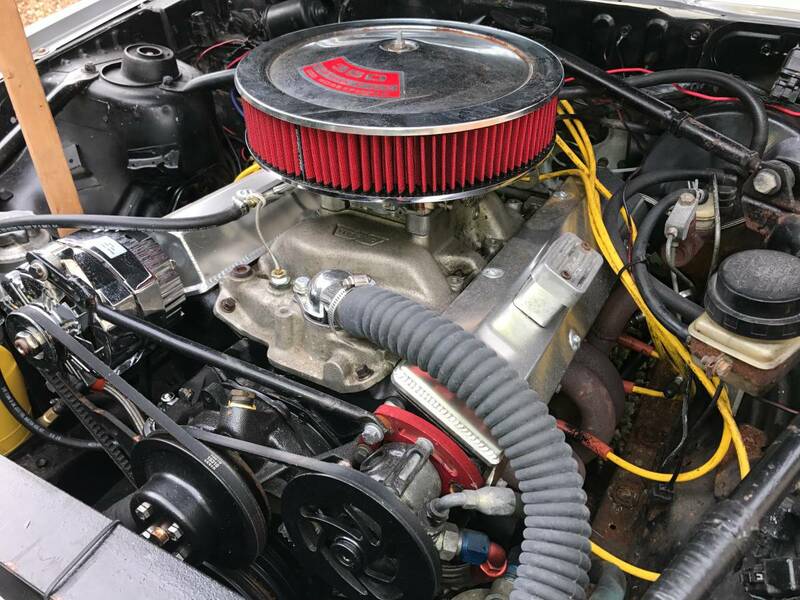 That hood scoop made expect to see at least one more carburetor.